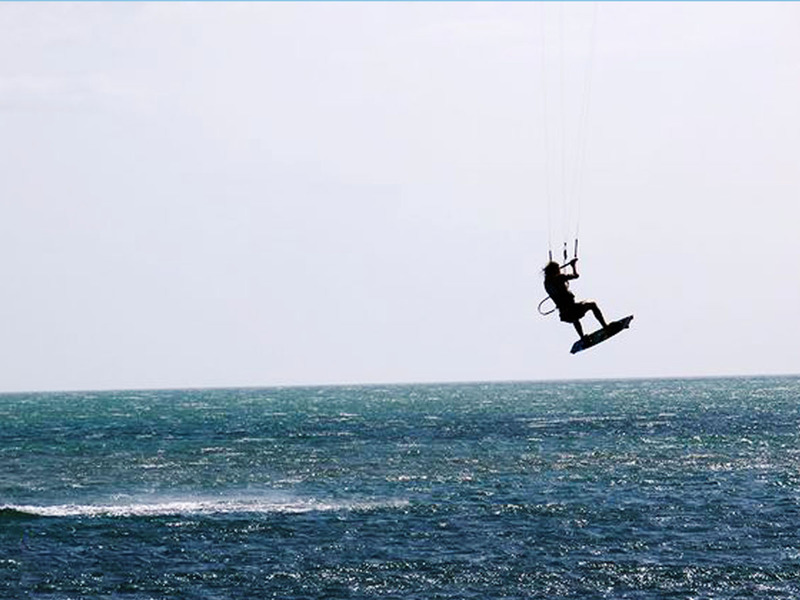 Find out why kite surfing in Cabo de la vela could be the best experience in your life. 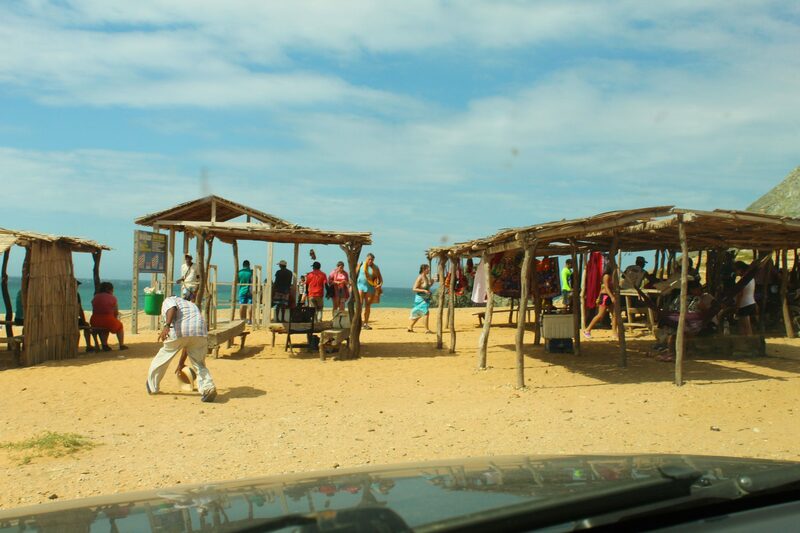 1.-Cabo de la Vela looks like a Clint Eastwood’s movie. 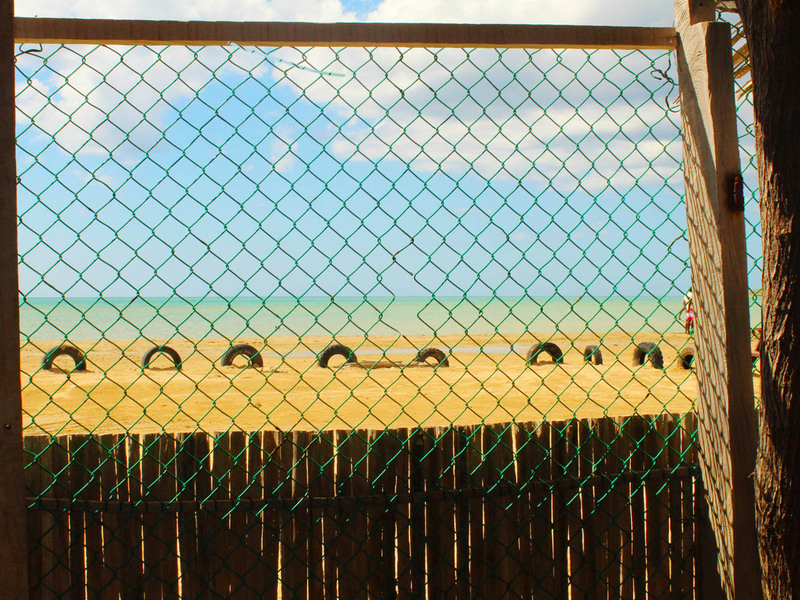 The place looks like those taken from an old movie, half desert, half calm, the sea, the breeze, everything fits so you can enjoy a good day on the beach practicing it! In just 8 hours I was totally surfing, sometimes we don’t dare to learn because of the fear of falling or not even being able to move forward, but in Cabo de la Vela, the wind and the tranquility of the sea make it easy for you to learn, as we would say on the coast, in less than a rooster’s sing! 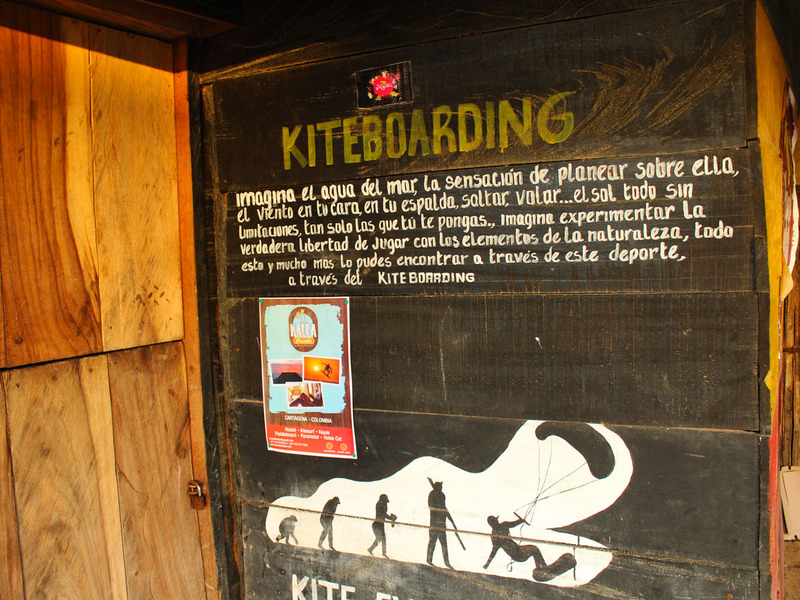 3.- In Guajira conditions are more than perfect to learn kite surfing. One of the most important things to practice this sport is the strength of the wind, luckily this won’t be a problem here, almost all year the wind is very good and like 90% of the day. 4. It is easy to stay up, very suitable for novices. 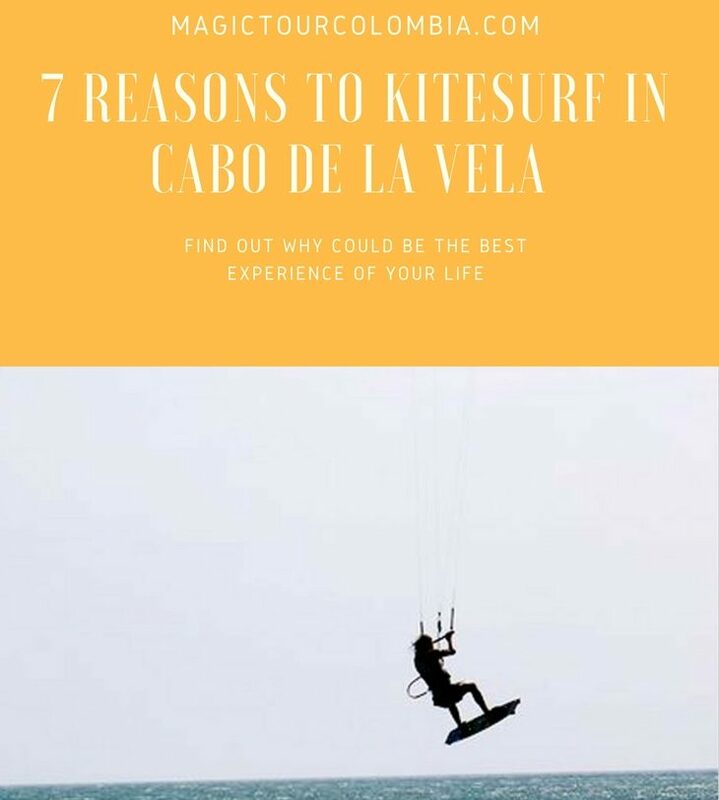 It is very easy to stay up and don’t fall because the wind conditions, having first lessons of kitesurfing in Cabo because is recomendable since the sea is always flat and the depth begins after having passed about 100 meters from the beach, something required for this sport. 5. Without waves is much better! 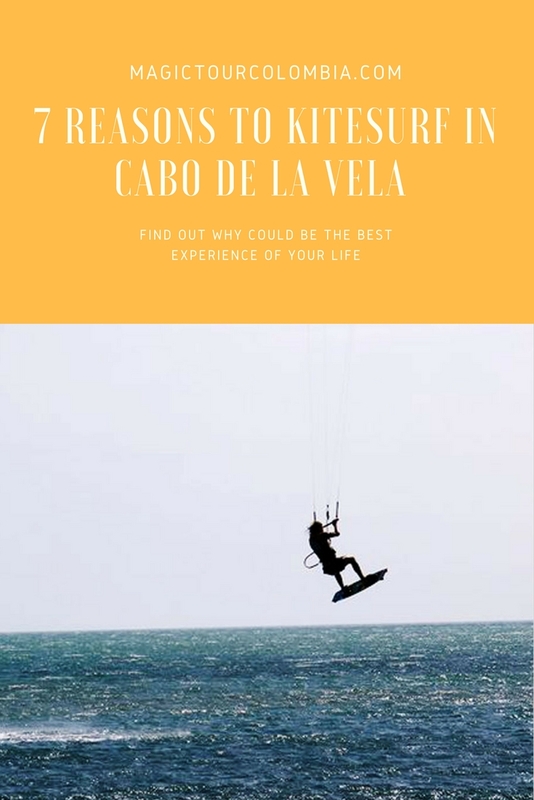 It is much harder to learn on a beach with waves even when the waves are small, this is why Cabo de la Vela is the ideal place, since the sea is really calm, so much that you could sleep on a float and not be afraid to fall . 6. 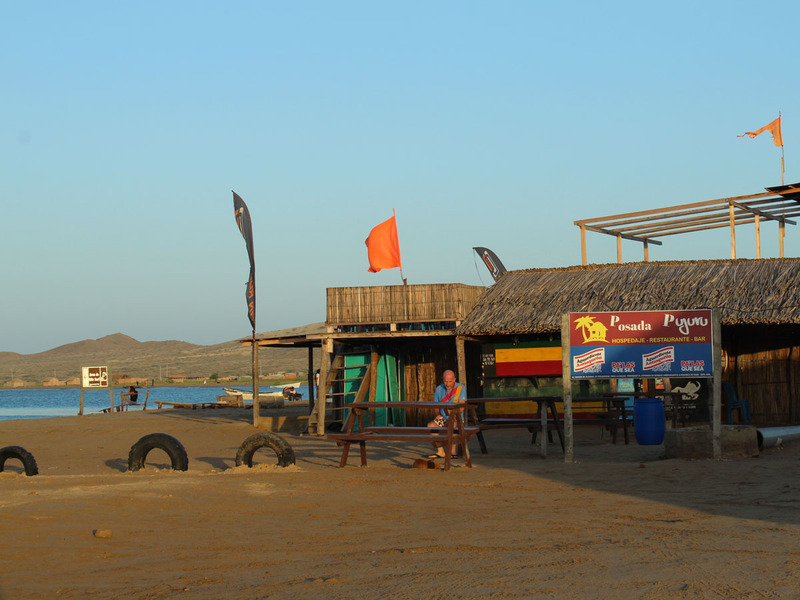 Kitesurfing in Cabo de la Vela is cheap! 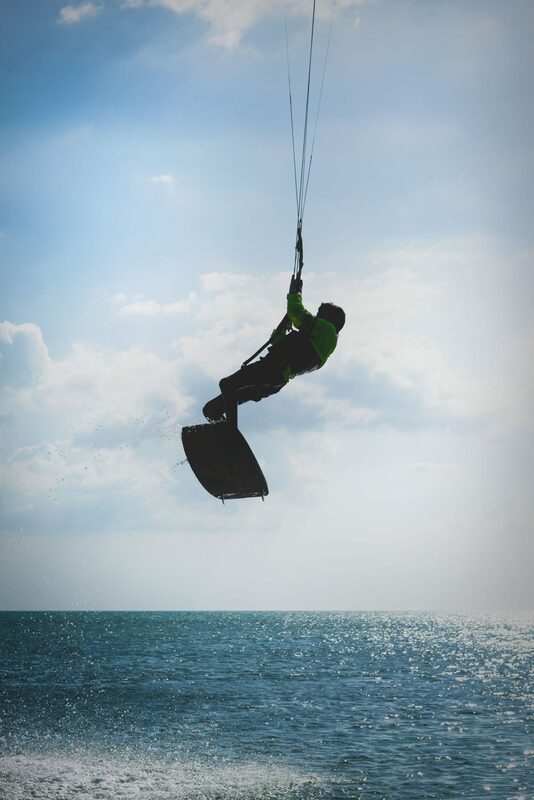 There is a place where you can pay for your kite lessons, it costs around $80,000 COP ($27 USD) for 1 hours and includes accommodation in hammocks, not bad, right? The good thing is that people are not filled and those who participate in it always have something to teach you. And about the people, like everything in Colombia, Cabo de la Vela is not and exception, people is friendly, you will have the funniest experience of your life, if you decide to practice kitesurfing here, just be aware that there are no electricity, ideal to keep your phone away from you and make human friends! So for all this reasons and more, Cabo de la Vela is designed to offer you a good experience if you go practice kitesurfing or just for vacations, you will make friends and all are open to make you feel like home, you’ll eat delicious food (most of them sea food as fresh fried and lobster), you can share with native people and will know many travelers that as you are willing to have the best experience in the northernmost part of South America. 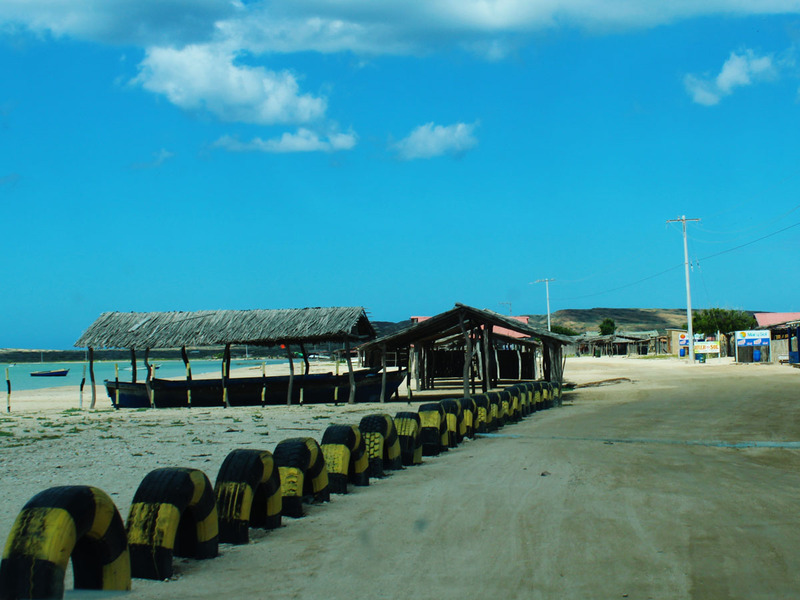 If you are interested in learning more about this destination, check out our tours to La Guajira, Cabo de la Vela and Punta Gallinas. You like this post? Help us to share! Pretty nice post. I just stumbled upon your blog and wanted to say thaat I have truly enjoyed surfing around your blog posts. In any case I will be subscribing to your feed and I hope you write again soon! Gracias Pulsera de Silicona! Hacemos todo lo que esté a nuestro alcance para ayudar a nuestros viajeros a tener una excelente experiencia en el caribe colombiano! Gracias por leernos, buena energía para ti!